I like the simple things in life, if a shop is called 'book store', I expect it to sell books, but with a name like Stone Willy's Deli and News I didn't know what to expect; was it going to be a delicatessen with an on site reporter feeding back current affairs, or a shop selling antipasti amongst newspapers? Intrigued, I went in to see whether it was one or the other, or worse, a mixture of the two. It's a bit of a strange set up: as you walk in there's a newsagents to the right selling magazines, newspapers, confectionery and cigarettes, but at the back of the shop is a sandwich bar that's akin to Subway. Lest the name lead you astray - stone-baked the pizzas ain't. Unfortunately they're placed in a mini oven and baked in 2 minutes. 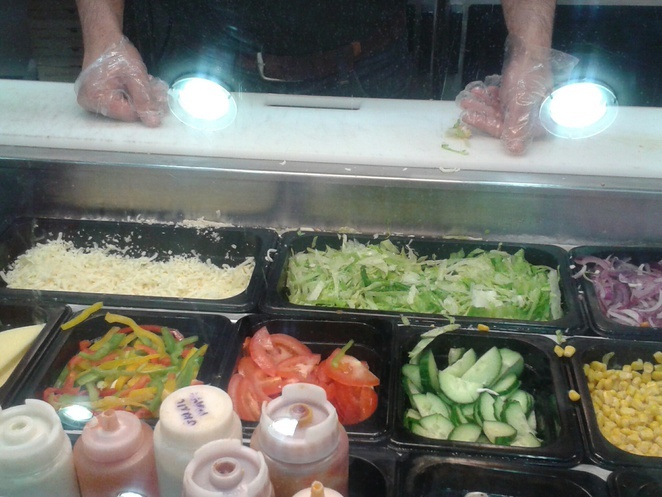 They don't scrimp on the toppings though: plenty of cheese and fresh ingredients are layered onto the tomato-based dough, and are served hot on a cardboard 'plate'. Not so much the independent and cool deli I was expecting, but a less-than-average answer to a lunch time sandwich bar. Because it's a new shop people don't seem to know of its existence, but it was still a bit of a surprise to find only two other customers in their when I visited at 1.30pm in the afternoon. The seating was a bit off too, it's just plain strange having a newsagents and a sandwich shop or 'deli' in the same space. I tried the pizza (£1.29 per slice), which was 'nice', not fantastic, not terrible, but edible. It wasn't anything to write home about, but it is a cheap option if you're in the area. What they lack in artisan charm they make up for in value for money and the volume of cheap meals. Some of their breakfast options are the cheapest in the city centre; for £1.99 you can buy two slices of toast and a coffee, a breakfast wrap/any pastry and coffee or porridge and a coffee. Great if you love carbs and are a coffee drinker. The portions are sizeable too, so you won't go hungry. When I enquired if the same offers apply to cups of tea the staff nodded enthusiastically. It was just a bit bizarre that it wasn't advertised on the menu. 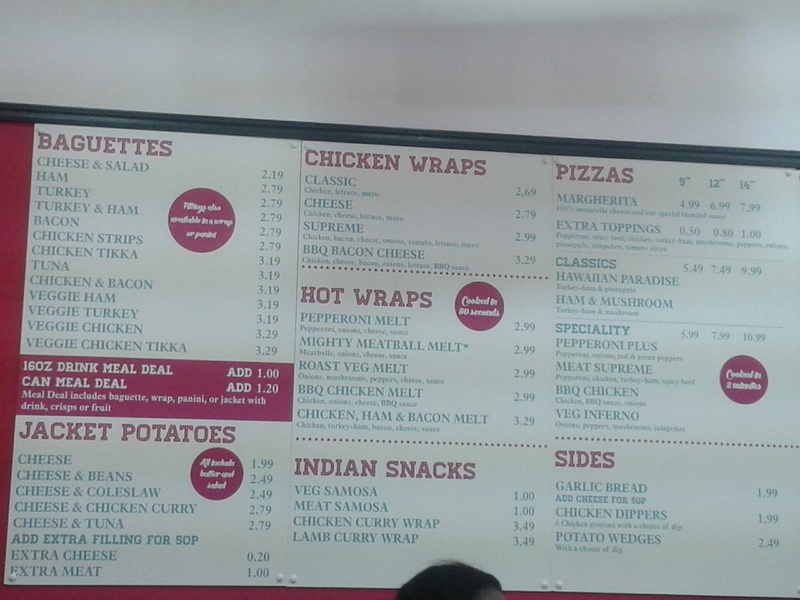 Also on the menu are lunch time favourites, but I was hoping for something new and fresh. It's just possible that they wanted to stay safe and guarantee their profit margins. As much as the couple on the following table were enjoying their pizzas, I left full of carbs and cheese and felt a little deflated. 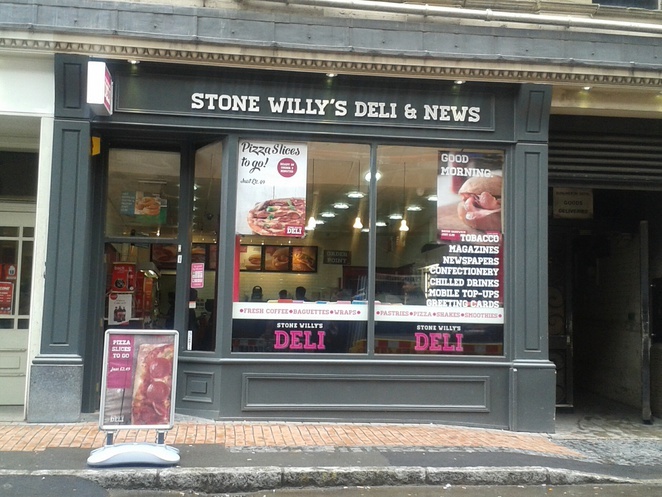 I wasn't blown away by Stone Willy's Deli, and I can't explain the anti-climax of not seeing a Lois Lane surrounded by pastrami and pancetta, but Stone Willy's is alright; it hits the spot when you're hungry, but doesn't do much more. Aside from sell cold drinks and bagged sweets.